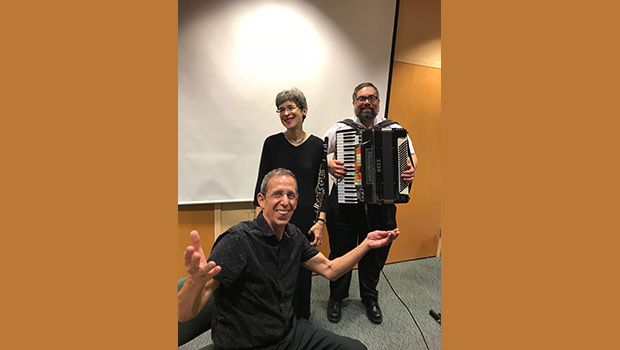 The klezmer trio T-Klez will perform a concert of Chanukah tunes from three continents at 7:30 p.m., December 8, at the Maurice M. Pine Public Library, in Fair Lawn. Many classic Hebrew and Yiddish tunes will be played throughout the evening. 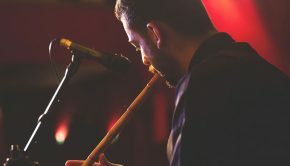 T-Klez is a trio that is firmly rooted in 19th-and 20th-century traditional Klezmer music with deep bows to Hasidic traditions. Other styles such as Israeli, swing and special requests can also played. Admission is free. Location: 10-01 Fair Lawn Ave. For more information, call 201-796-3400 or visit FairLawnLibrary.org.